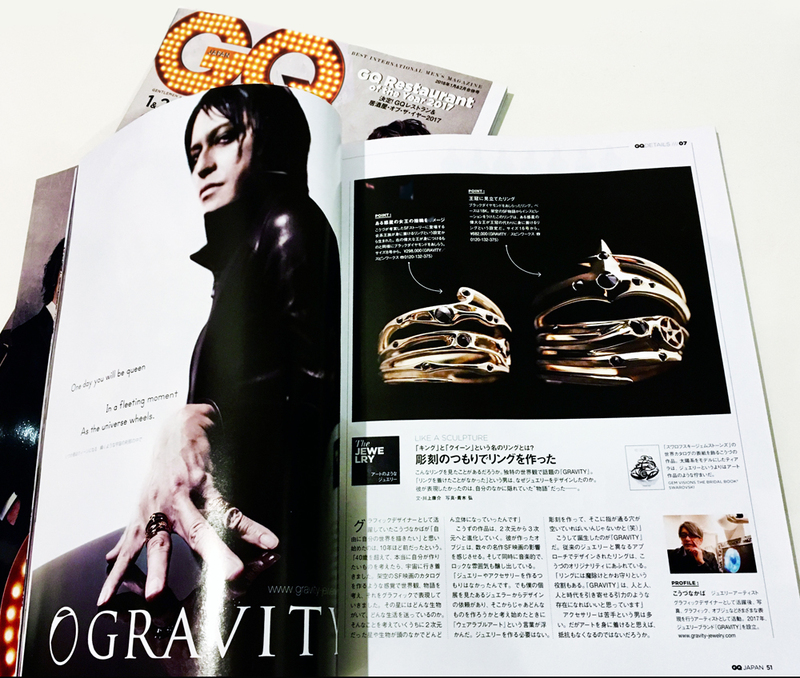 These never-before rings are new creations from GRAVITY, a studio popular for its unique cosmic world. Why would a man who has never worn a ring himself be designing jewelry? It seems he wanted to give voice to a story that was hidden inside him. It was some 10 years ago that Nakaba Kowzu, then an established and popular graphic designer, started feeling a desire to express his own world more freely. Kowzu said, "When I turned forty, I thought about what I really wanted to create, and I realized it should be something connected to space. I started to create a world and a story as if I were creating a catalogue for an imaginary science fiction film, and I expressed the story graphically. What sort of beings would live on a star, and what sort of life would they live? While I was thinking of that kind of thing, the two-dimensional star and its inhabitants took on a sense of depth and became three-dimensional. As a result of this impressive evolution, the art objects Kowzu is creating now suggest influences from a number of masterpiece science fiction films. At the same time they are quite musical, emanating a rock atmosphere. 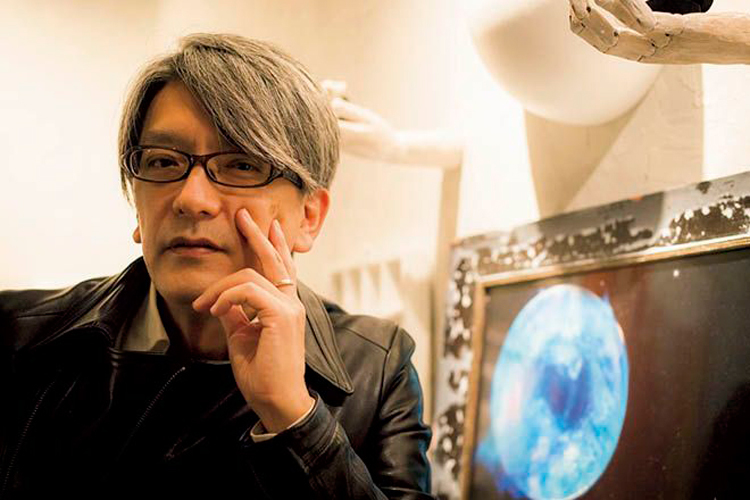 "At first I had no intention of creating jewelry or accessories. Then one day a jeweler saw my art exhibition and asked me to design some jewelry. So I did some brainstorming about what to make, and came up with the notion of 'wearable art.' There was no need to make jewelry, I could just make a sculpture with a hole for a finger!" In that way GRAVITY was born. 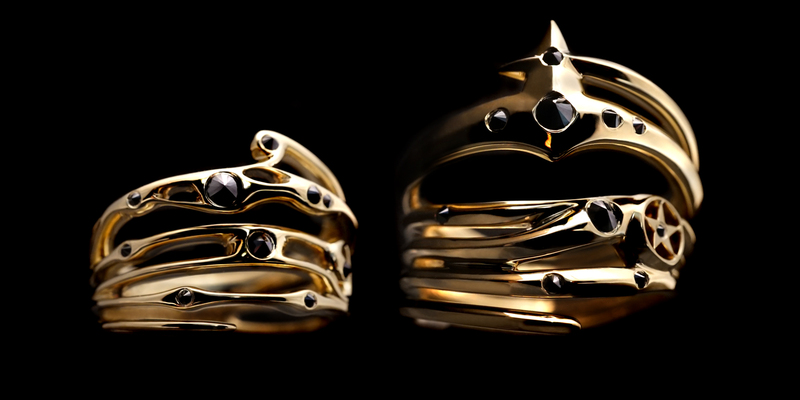 These rings, created through a completely different design approach than usual jewelry, radiate the originality of Kowzu. "A ring also functions as an amulet or charm. 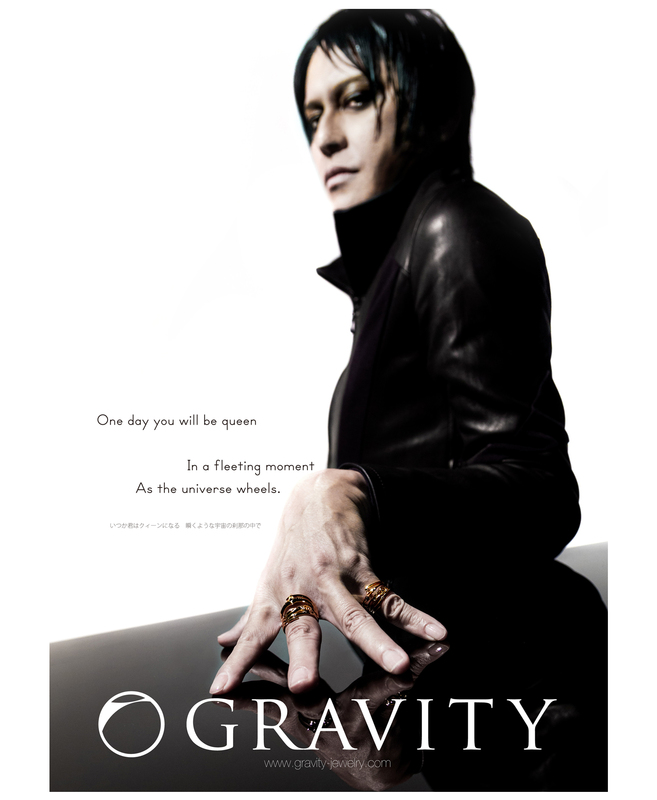 I hope GRAVITY will be a sort of attractive force, drawing together people and people, people and time." There are a lot of men who are not keen on wearing accessories but I suspect the idea would be more appealing if they thought of them as art. 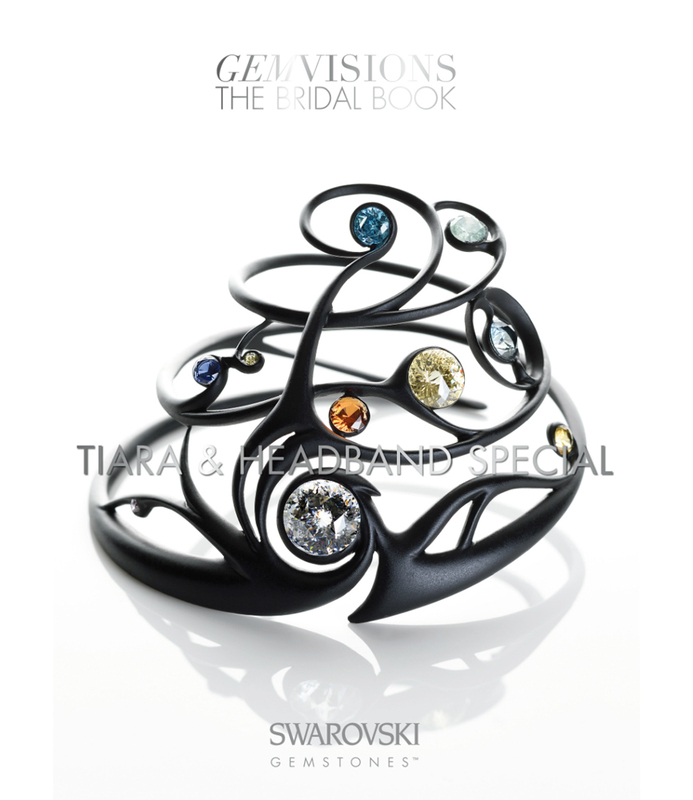 Kowzu's work is featured on the cover of the world catalogue of Swarovski Gem Stones. This tiara, modeled after the solar system, has the presence of an artwork rather than simply a piece of jewelry. © 2017 Gravity Jewelry All rights reserved.